At today’s meeting of Vancouver City Council, all three Green Party councillors voted with the NPA. Vancouver city council has decided to oppose the additional school tax by the province on homes valued at least $3 million. Council voted 7-3 to ask the B.C. NDP government to withdraw the tax that will take effect in 2019. Casting the affirmative votes were Councillors Rebecca Bligh, Melissa De Genova, Sarah Kirby-Yung, and Colleen Hardwick of the Non-Partisan Association; and Adrianne Carr, Pete Fry, and Michael Wiebe of the Green Party of Vancouver. This is the last straw for me. I will no longer send any money to the Vancouver Greens, nor will I count myself a supporter. I will allow my membership to lapse. Provincially the Green Party is working with the NDP – and I, like many others, have had to concede that the working arrangement is clearly better than continuing to have a BC Liberal government. But that means not saying what needs to be said about LNG – which earns the province little in the way of revenue, and employs very few people, but depends on fracking which produces far more fugitive methane than the industry admits. Worse than that it also is built on the case of liquefying the gas using hydro power – which is supposed to cut its carbon footprint, but seems to ignore the damage that building a large scale earth dam on dodgy foundations will do, and the abysmal track record of major hydro projects both environmentally and economically. Moreover, I have had to put up with the Leader of the Green Party promoting Uber! Elizabeth May, federally, seems to be the best of a bad bunch but even she has been pushing for more oil refineries in Alberta. We have a very short time to turn the world around in its present track – which has seen ghg increases this year. The IPCC and the US federal government have made it clear. We cannot go on like this. Since the Green Party at local, provincial and federal levels seems not to understand that human caused climate change is our biggest problem, I can no longer call myself a Green Party member. We have to stop producing oil, gas and coal altogether, and we need to be working hard to replace those energy sources by renewables and by the reductions in consumption that will be possible if we embrace energy efficiency and well understood Transportation Demand Management techniques such as promoting transit expansion over highways! It is actually easier now to do this as both solar and wind power are cheaper than fossils. We have plenty of capacity in our highway and urban road systems, as long as everybody understands they cannot drive a big SUV or pick up truck for each trip by one person over quite short distances. Cut the parking requirements, build walkable cities, spend money on LRT not freeways. This is not rocket science and we do not need any of Elon Musk’s crazy “innovations”. We know how to do this because we used to do this not so long ago. It is not about more tunnels or atmospheric railways – it is streetcars, buses and bicycles. Next week the NDP is going to reveal its strategy for the Massey Tunnel “replacement”. If it isn’t a rail based additional tunnel then I will not be cheering for that either! This is actually a Green Party of Canada Press Release. My expectation is that this topic is unlikely to get much coverage in the mainstream media. I have to say as well that I did try to take advantage of the ecoEnergy Home Retrofit program, despite its somewhat cumbersome requirements. I did not get a penny from it. The simple reason being that while it was available it was almost impossible to get hold of tradespeople, who in any event at that time were also very much occupied on fitting out new build housing which was flooding the market. So when I bought an older townhouse in Richmond I got a new high efficiency gas furnace. I had to replace the hot water tank too and found there was no realistic alternative to like for like (tankless systems being only viable for larger households). I was then told by a City of Richmond gas inspector that if I installed a sealed system gas fire – to replace the negative efficiency open flame one – he would insist on the installation of a totally unnecessary air brick in an outside wall. This was because he did not understand the words “coxial flue” and thought the new gas fire would need an additional supply of combustion air. At that point I gave up on a campaign with the strata council to speed up replacement of the windows and doors identified by the mandatory house inspection required by the ecoEnergy program which disqualified me from all rebates. And having replaced the extractor fans in both bathrooms I was not in a hurry to go back into the loft and add insulation up there. Even so, and recognising that there is much more energy to be saved by cutting transportation emissions, I still think that retrofitting homes is a sensible thing to do, as the payback periods are shorten when energy costs rise. Of course the current glut of natural gas due to excessive fracking is not helping there either. 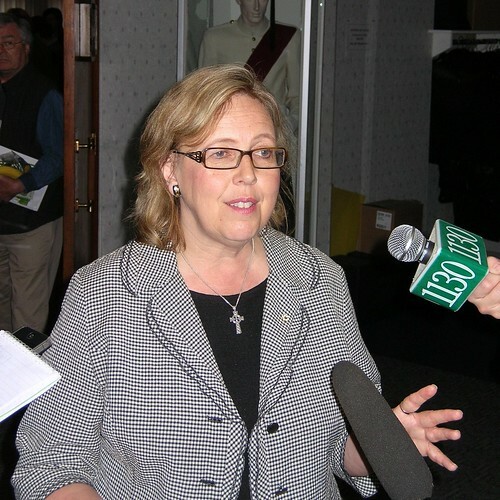 (Ottawa) September 25, 2014– In a House vote on September 24, 2014, Green Party Leader and MP for Saanich-Gulf Islands Elizabeth May and Green Deputy Leader Bruce Hyer, MP for Thunder Bay-Superior North, voted in favour of a motion to have the government establish a program to support energy efficient home renovation. Once again, the Harper Conservatives put partisanships ahead of good policy and voted it down. NDP MP François Choquette’s motion M-497 stated that an energy efficiency program would help to combat climate change while reducing Canadians’ energy bills and creating jobs. In 2012, the Conservatives cancelled their own ecoEnergy Home Retrofit program without warning. The ecoEnergy program gave out grants of up to $5,000 to homeowners to help pay for energy efficient upgrades like replacing furnaces, improving insulation and sealing windows and doors. The program helped over 750,000 Canadians during its five years, saving users an average of 20% on their home energy bills every year, reducing greenhouse gas emissions, and adding up to $4 billion to the Canadian economy. It increased government revenue and created thousands of jobs. “EcoEnergy brought huge benefits to the environment, the economy and the average Canadian. It was particularly significant in Northwestern Ontario, where the cost of home heating is rising rapidly,” concluded Hyer. This post appears today on Island Tides and her own web site. Because of its significance I am copying it here in its entirety, but closing comments. The very idea that the federal government, having slashed scientific research into climate change, freshwater science, ozone depletion and contamination of marine mammals (to provide an incomplete list) would be running a gold-plated research project called “the Northern Gateway project” is a stunner. The fact that $78 million is to be spent in 2013-14 on research as to how bitumen mixed with diluent will disperse in the marine environment, as well as better weather forecasting along proposed tanker routes in and out of Kitimat, with $42 million set for next year was shocking. The documents leaked from sources inside the federal government included numbers never made public. I suppose I should not have been surprised that the response from Natural Resources Minister Joe Oliver was to say that somehow Dr Andrew Weaver, Green MLA from Oak Bay–Gordon Head and I had simply missed a public announcement of the funding. I went back and reviewed that file. True, the press release said that ‘The government will conduct scientific research on non-conventional petroleum products, such as diluted bitumen, to enhance understanding of these substances and how they behave when spilled in the marine environment.’ In fact, the only substance they are studying is dilbit in the research programme called the Northern Gateway project – no ‘such as’ about it. The research is essentially a disguised subsidy to Enbridge which was supposed to have done this work and presented it to the Joint Review Panel. The key reason that the BC government submitted its objections to the project in the hearings was the failure of Enbridge to provide any evidence of the environmental fate and persistence of dilbit, either in a pipeline (terrestrial) or tanker (marine) spills. Oliver managed to get a good chunk of media to accept that we were scandalized by something that was well-known. Nothing in the Vancouver event this spring suggested to those of us paying the most attention that the federal government was trying to fill the gaps in Enbridge’s evidence. Nor was there anything in the announcement to suggest infrastructure investments in better weather forecasting for tanker traffic routes in and out of Kitimat. We have placed the key documents on the Green Party of Canada website. I hope that people will go to the original documents and decide for themselves if this was something we all knew. Ms. Elizabeth May (Saanich—Gulf Islands, GP): Mr. Speaker, in 2001, the Prime Minister wrote a famous letter to the former premier of Alberta in which he urged him to act “to limit the extent to which an aggressive and hostile federal government can encroach upon legitimate provincial jurisdiction”. Six days ago, the provincial government of British Columbia said no to the Enbridge project. It said that Enbridge had completely failed to demonstrate any evidence that it knew how to clean up a spill or even knew what would happen with the bitumen and diluent. Will the Prime Minister confirm that under no circumstances will the federal government become the aggressive and hostile government that approves a project as long British Columbians say no? Right Hon. Stephen Harper (Prime Minister, CPC): Mr. Speaker, the project in question, of course, is subject to a joint review panel process. Obviously, we believe in the rule of law and in adjudicating these things based on scientific and policy concerns. The government will obviously withhold its decision on the matter until we see the results of the panel and its work. Many may conclude it was only prudent of the federal government to spend over $100 million on ‘world class’ work in support of a project which is subject to a review process not yet completed. On the other hand, I think Stephen Harper’s claim that (as he said twice) “obviously” he will wait for the panel recommendation before deciding about Enbridge is undermined by this spending. When one follows the money, it all leads to supporting Enbridge.